National Institutes of Health study from November 2007 found that in youth with attention deficit hyperactivity disorder, the brain matures in a normal pattern. However, it is delayed three years in some regions, on average, compared with youth without the disorder. The researchers used a new image analysis technique that allowed them to pinpoint the thinning and thickening of sites in the cortex of the brains of hundreds of children and teens with and without the disorder. The findings bolster the idea that ADHD results from a delay in the maturation of the cortex. 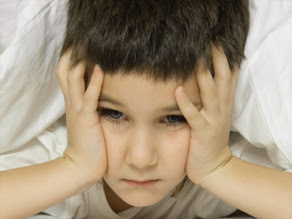 ADHD Fact Sheet Basic facts and symptoms. No Response to "Brain with ADHD develops differently"
Dor do parto - sofrimento ou necessidade?